Must Have of the Day: Fashionable Chinese style dress by Patachou adds an Asian flair to your closet! 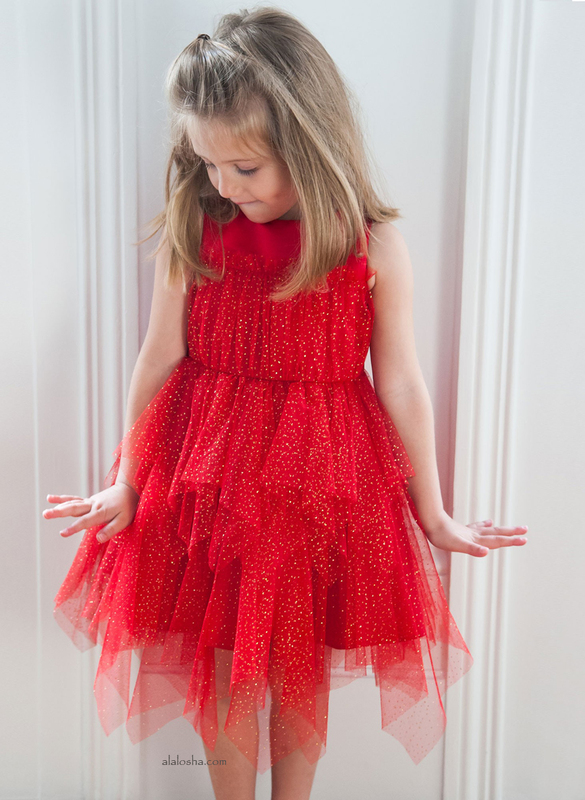 With a traditional European style, Portuguese designer Patachou creates clothing and accessories, all in beautifully simply styles with the finest attention to detail. 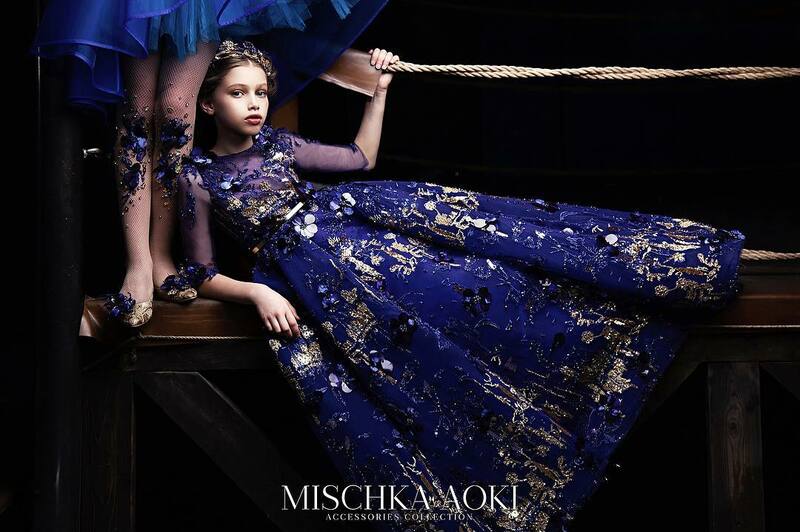 More than that, it is the achievement of two entrepreneur fashion-loving women that dreamt they would create a child universe, with fun classic proposals that combine exclusive design and prime raw materials to a chic timeless statement. 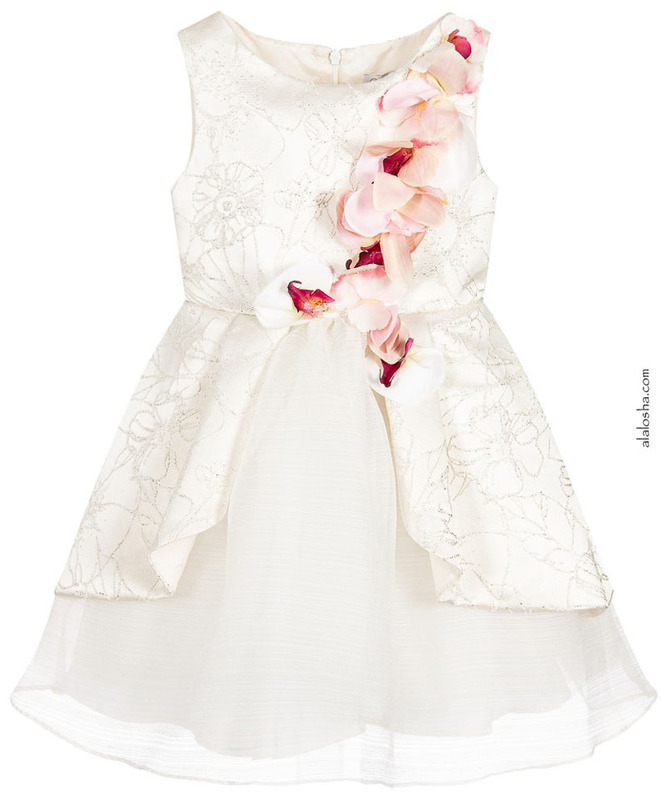 Girls beautiful ivory jacquard dress by Patachou, with lovely pink orchid appliqués cascading from one shoulder. The bodice and large peplum hem have silver thread running through the weave with embroidered silver and ivory flowers and the organza skirt has delicate, textured stitched lines all around. There is a concealed zip fastener at the back and the skirt is fully lined in soft cotton with layers of tulle for extra volume. 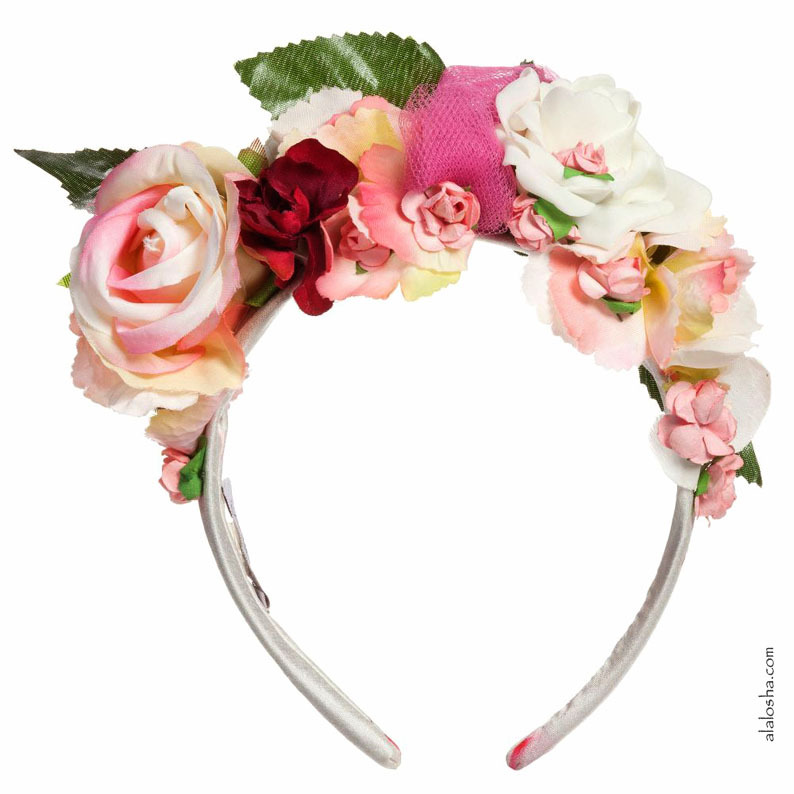 Girls beautiful hairband by Patachou, suitable for special occasions. 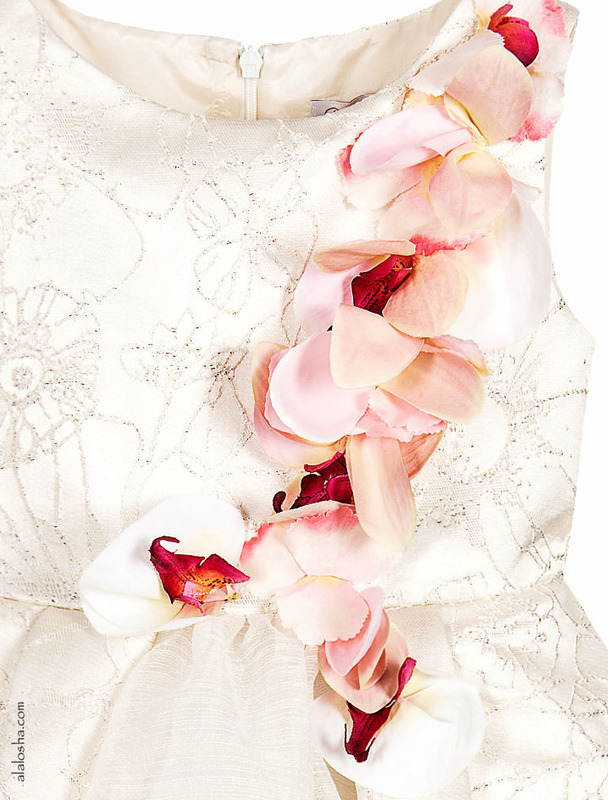 The flexible band is covered with ivory floral satin and has a beautiful flowers decoration in pinks and ivory.